Well hey there, how are your writing resolutions holding up? My resolutions are to write more – I guess that’s everyone here too, huh? My other resolution is to publish more, which means making sure my books are good enough to get out there and earn their keep! I can guarantee you there will be a typo in this short article. And that’s OK! We’re all human and we’re all doing our best. I’ve had some of my books traditionally published and I’ve self-published many others – and even the professionally published ones which had multiple rounds of editing and proof reading and all the ‘fresh eyes’ under the sun … and they still sneak through! The OWL I’ll be running in February is also bound to have typos in it. Ha! What a raging hypocrite I am to run an editing course with spelling mistakes in it. I’m proof reading for a client right now and I’ve spotted a couple of typos – which is good! I’d be worried if I hadn’t spotted any. (And it makes me feel good that I’ve ‘earned my keep’ so to speak.) When you’re editing your own writing it’s easy to imagine missing words are there (when they’re not) or they’re used in the right context. Our brains are so familiar with the story we skip over the tpyos and on we go! I’m going to teach you how to slow down and create a ‘fresh set of eyes’, so those pesky errors become highly visible. The trick will be to read it all out loud, and slowly (uh-oh, just gave my secret away!) that way you’ll hear the mistakes even if you don’t see them. I have plenty more tricks and techniques up my sleeves for the February OWL. 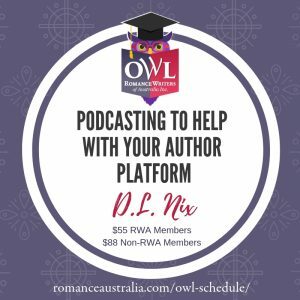 I’ve designed the course so you can download each week’s lesson and apply it to your writing at your own pace. It will be a lot of work, but, if I may brag a little – every single technique I share is something I regularly use in my own writing. And hey, my latest self-published, self-edited novel won a RuBY, so I figure I must be doing something right? I will give you plenty of examples of where I’ve made mistakes as well – because I don’t know about you, but I learn so much from making mistakes. Ebony McKenna is the self-published author of many young adult novels, including the charmingly funny four-part Ondine series, where a girl’s pet ferret starts talking with a Scottish accent. Her most recent novel, The Girl & the Ghost, won the Ruby for romantic elements in 2018. She is a huge fan of structure and has presented workshops at RWA conferences and roadshows, community and neighbourhood houses and libraries. 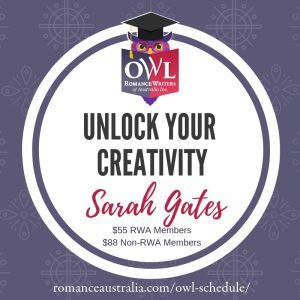 Edit Your Own Romance Novel will be presented online, by Ebony McKenna, from 4 February to 3 March, 2019.